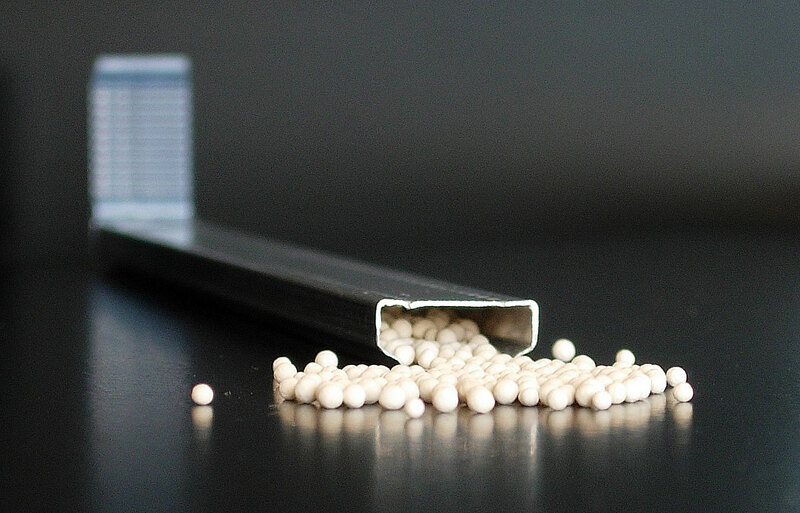 Molecular sieve – desiccant inside the profile in an IGU. The least expensive way to guarantee a correctly assembled IGU. The IGU durability is determined by the dynamic balance between the amount of moisture that penetrates into the package and the amount that the desiccant can bind. If the amount of steam exceeds the dew point, the steam can condense. Depending on the IGU construction, if the set is ideally sealed, its durability can range from around a dozen to over a hundred years. Minor leaks can significantly limit the IGU lifetime. If the profiles are filled with double the amount of sieve, the IGU durability can be extended even sixfold.